How can I get a Visa Credit Card? To have a credit card from VISA means you have a card backed by a major payments technology company. So how do I get a Visa Credit Card? Nearly everyone owns at least one credit card. People enjoy the freedom it gives them and being able to use the cards worldwide. Contrary to what many people think, a VISA card is available to individuals and businesses with poor or no credit. Each card, however, has different terms which relate to the customer’s credit worthiness. If you’re a consumer with an excellent credit record, you can get a Visa credit card that offers cash back rewards as well as a low-interest rate. A Visa prepaid card, on the other hand, must be funded before use. This card is a better option for someone with a poor paying history or a person with little money to spend. Apart from banks, there are other financial institutions as well as retailers who issue Visa cards to consumers. It doesn’t matter who issues the cards as each company has its terms and conditions. Being accepted in more than 200 countries makes it an important feature of this card. The merchants who accept Visa cards pay a small amount of each transaction the consumer makes in exchange for the service Visa provides. This allows the merchant to accept credit cards and benefit from increased sales from customers. Financial institutions also issue Visa cards that offer specific benefits when shopping with a particular retailer. Some of the cards then give consumers a percentage back on all that retailers purchases. 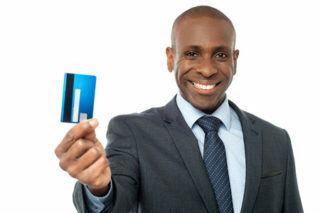 Obtaining a credit card is a simple process, and its beauty lies in the fact that it can offer you more purchasing power. Make sure you look at the different rates and benefits offered, many companies charge between $15 and $50 for the use of their card. Annual Percentage Rate (APR) is how much money in fees and interest you can expect to pay on the money you borrow. There are also different rewards offered with various Visa cards. With Visa Credit cards you get many choices and benefits. Choose from cash back cards, travel rewards, petrol cards, students cards and others – there’ll be one to suit you. Visa ATM Only – The ATM Only Visa card is a debit card to use at any ATM where Visa cards are accepted. An ideal choice for travellers who don’t want to carry loads of cash with them. The ATM Only debit cards are not credit cards. Visa Classic – Recognised and accepted by many merchants the world over, as well as the Internet. It’s looked upon as a good first choice because of its simplicity and worldwide recognition. Applying for a credit card needn’t be intimidating. There is plenty of advice on the Internet on how to go about it. This is because there are so many credit cards and each one with different rules, various interest rates and different rewards. If you’re looking for a credit card, it’s time you did research to find out more about the Visa credit card. You can earn rewards, and in tough economic times, it’s good to know you get rewards for managing your finances well.